I have had the best time helping folks find their new homes in our neighborhood! Whether you are a buyer or a seller, I am happy to help you find the perfect match. What a great chat with Kim Richardson! He is charming, sweet and genuine! Not only does he love his community and his work, but let’s just face it… Kim is instrumental to the fabric of the Old Village. We are very fortunate to have him! Q: How and when did you end up owning the Pitt St. Pharmacy? A: I’ve been here for 22 years and have the great privilege of owning a true “soda fountain pharmacy” which is so rare today! Growing up, my generation would go sit for an ice cream while our parents picked up their medicine. It was a tradition I loved. It was a different perspective than how the world works today, where things are fast paced, the “drive-through mentality.” When I went to pharmacy school, I knew this traditional format was what I wanted, but there were hardly any left. And rightly so! The business model has only a slim chance for success in today’s world since the “soda fountain” is not a profit center. This has forced the “mom and pops” to sell out to the bigger chains. For me, the only way to achieve my dream was for the good Lord to put me at the right spot at the right time and that is exactly what happened! In 1937, Dr. Wattie Zeigler started this pharmacy and here we are celebrating our 80th year. Dr. Zeigler made his living literally with his mortar and pestle! This process is called “compounding” and unlike most pharmacies, we still use this method today. To “compound medicine” means to make unique medicines that are specific for each patient’s individual needs. Individualized medications are not available commercially. This process sets us apart and is the bread and butter of our business. We are one of very few pharmacies that work this way in the Charleston area. Q: In your opinion, what makes this special? A: This is “Mayberry!” Families shop here and we have created a real sense of community! Kids hang out after school and order a hand-made grilled cheese sandwich or Coke-Float and are able to charge it to their “account.” Compounding medicine is what sustains our business, but our soda fountain is what makes us special. It gives us notoriety, and we have been featured in newspapers, TV shows and movies! Q: I know you take pride in community service. Talk to me about your recent mission trips. A: I feel blessed to be where I am, and with that comes my responsibility to “give back.” I grew up in the days of “service to my community” and I continue that today. We are proud to participate in Medical Mission Trips through the Mt. Pleasant Presbyterian Church. We take huge totes of medications to rural areas of Honduras where they literally have no hospitals, doctor care or even medicine. We go with a team of doctors, nurses, dentists and more to a little community of 200 people and help in any way we can. I feel blessed to have this opportunity! Locally we support Camp Happy Days by providing all the medical supplies they need for their camp and we are a sponsor for the Cystic Fibrosis Foundation as well as many other local organizations. My listing at 1479 Seminole was priced to sell and went under contract in 1 day! The real estate market is hot right now! Homes that are priced right are flying off the shelf. Contact me if you are looking for a home in the neighborhood or visit, www.SearchOldVillage.com. It is imperative during this fast-paced market that you team up with a savvy REALTOR® who knows the market, can help find homes before they list, and can help navigate multiple offers for homes that come on the market for a reasonable price. I am happy to help! 2016 was a great year for Charleston real estate and for me professionally. And I am thankful to my clients and friends for helping me achieve my goals! I was awarded the 2016 Moultrie News BEST OF THE BEST REALTOR®! I achieved the Executive Level of The REALTORS® of Distinction Award, which is their highest tier and recognizes the top producing Charleston REALTORS®. 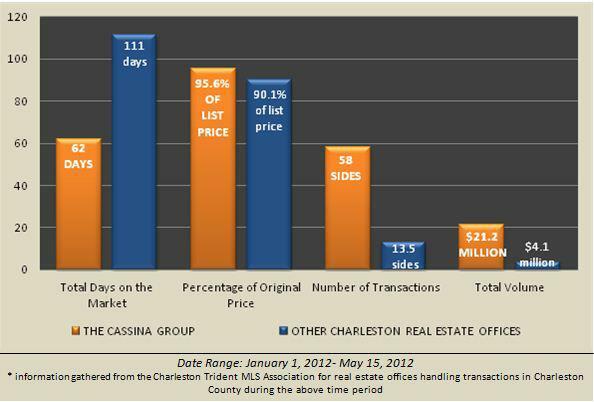 With 6,000+ REALTORS® in the Lowcountry, it is a given that you have a friend or family member who is licensed to sell. But you need to ask yourself… Who has the experience and knowledge to get the deal done? And who can provide the proper guidance for a smooth transaction while maximizing my financial gain? The decision of who represents you in the sale and or purchase of your life’s biggest asset needs to be taken seriously. And as you know, I live in this neighborhood, specialize my business here, and I have been a top producer in this area for many years. I love what I do, and work hard everyday to provide superior service, expertise and advisement to my clients. And I am thankful to have this opportunity! If I can help, I am happy to do so. To learn more, check out my website at www.SearchOldVillage.com or email me at Jackie@TheCassinaGroup.com. Where In The Neighborhood? Answer the question and you can win a prize! I am super excited to introduce my new logo! What’s up with it, you ask? It is fresh, new, colorful and tells the world that I am committed to being your Village Connection! And let me tell you… there is nothing RANDOM about this new logo. It did not “just happen.” It is very specific BY DESIGN! I am so excited to bring you my newsletter, The Village Connection Online! There is no better way to stay connected with our neighborhood, watch Real Estate Trends, learn about local business owners, share stories, and learn about upcoming events! Well, you get the idea… all things OLD VILLAGE!!! Please feel free to send me pictures, share OV stories, and more, I am happy to spread the word about what makes this neighborhood so special! Thinking About Selling? The Market Stats Say It All! Thinking about selling your home? The Cassina group can help get it done! I specialize in the Old Village and Old Mt. Pleasant Real Estate Markets and I would love the opportunity to meet with you and share our proven plan that matches your home with the right buyer for the right price. Check out our stats as they say it all! We are selling more, faster, and for a better price! Please feel free to learn more by visiting http://www.JackieKellyRealEstate.com where you can email me to receive a FREE marketing analysis on your home!